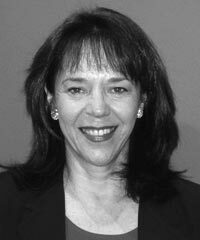 Ronni Goldfarb is Founder, President & CEO of Equal Access International(EA). Under Goldfarb’s leadership, EA developed its mission and unique methodology for catalyzing social change – combining the power and broad reach of innovative media with direct community mobilization. With a broadcast reach to 90 million underserved people across Afghanistan, Cambodia, Nepal, Nigeria, Niger, Chad, Burkina Faso, Pakistan and Yemen, EA produces educational programming in 19 languages, and mobilizes participatory learning and social change through community forums, trainings, listening & discussion groups, social media and mobile technologies. With extensive experience designing high-impact community-based solutions addressing women’s and girl’s empowerment, education, health and HIV/AIDS, youth life skills, and economic growth, Goldfarb serves as a liaison to bilateral and multilateral agencies, government ministries, and corporations.